Indian Meal Moths are probably the most common food pest found in the homes and grocery stores in the United States and especially North Carolina. 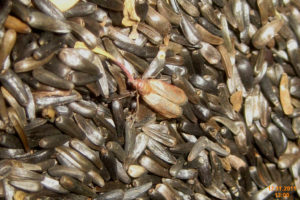 The larvae or caterpillars are general feeders and can be found infesting grain products, seeds, dried fruits, crackers, pasta, powdered milk, chocolate, pet food, bird seed, dried flower arrangements, and spices. While feeding, the larvae produces copious amounts of webbing within the product. Adult Indian Meal Moths have a wingspread of slightly less than 3/4-inch long. The front wings are bicolored with the basal half pale-colored and the outer half reddish-brown or coppery in color. Mature larvae are about 1/2 inch in length. They are usually dirty white in color but can range from greenish to pinkish to brownish depending upon what they had been eating. When ready to pupate the larvae crawl away from their food source, in many cases travelling a considerable distance. Oftentimes, pupae will be seen at the junction of walls and ceiling. Because the pupal site is far from the source of infestation, the actual location may be overlooked. There are a couple of ways that the pest can be brought home. One way is that the product was infested at the time of manufacturing despite the manufacturer’s attempts to prevent this. Another route by which this pest can be introduced into the home is that an active infestation was present somewhere in the store and an adult female laid eggs in a susceptible host product. Other than seeing the larval infested food, spotting the adults is fairly easy because they are active at night and fly toward lights. 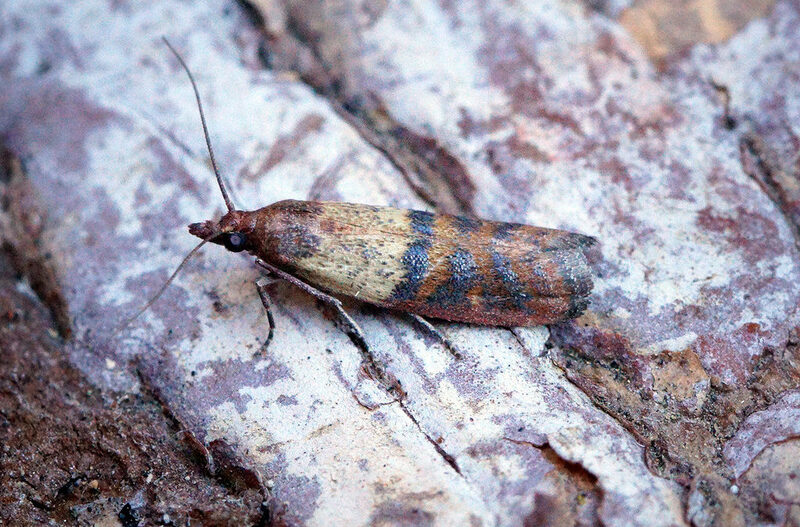 Detection of this pest can be accomplished by using a sticky trap containing the specific pheromone for the moth. In addition, if the adult moths are found, searching one’s pantry for the source and discarding the infested material will go a long way to ridding one’s home of this pest. Contact us today to get a Free Inspection!